As I considered the time available for us tonight, the image of a roller coaster came to mind, so “fasten your seat belts “—— we will be moving very quickly into a deep, wide view of Life. In that light, I would appreciate if questions and comments could be held until the end. Space for leisurely dialogue and integration has been generous in our weekend seminar together. Tonight, however, we have much to cover in this limited time! The focus is the recognition of the Animus, the inner masculine of the woman within the Numerology, Placement and Meaning of the Four Bottle Consultation in Aura Soma. The inner, contra-sexual archetypal parallel in the man is called the Anima. Though the emphasis tonight will be on the Animus, the application of understanding the Anima within Aura-Soma is similar, but must be reviewed in detail at another time. I am a Sagittarius with Libra rising, an Aquarius moon and an Aquarius North Node. My Masculine heritage is Scot and my Feminine heritage is Norwegian/ Sami. I am the 10 of Hearts, a Yellow Solar Seed and a 4 Wood. This personal learning journey began during the last phase of an Intermediate Workshop at Dev Aura during the study of accessing the soul affinity. I intuited the possibility of including an understanding of the inner masculine in the woman (termed the “Animus” by Jung) within the framework of the soul affinity construct. I saw this to be the addition of the personality numbers from the entire birth name plus the destiny number (determined by the date of birth). This will become clear with my personal example. I have worked with the Animus Archetype, both within myself and with clients for the last 25 years. 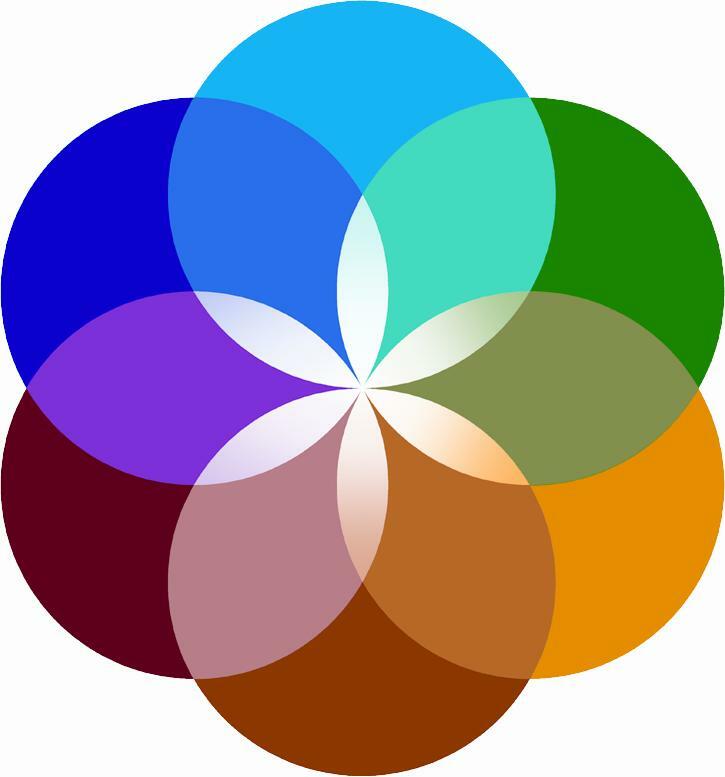 The opportunity for me to “see,” experience and facilitate greater awareness of this Archetypal energy through colour opened an additional view in my psychotherapy and dreamwork with clients, within both inner and outer aspects of relationship. Further examination and depth seemed both possible and helpful. I was inspired and have been experimenting with this idea over the last year. For clients who have been actively pursuing this understanding in themselves with me, here was yet another doorway available to bring forward this depth learning on the way to the Self. The emphasis on taking self-responsibility with the use of the bottle, pomander and quintessence offered real grounding to the inner work. Briefly, each man and woman is influenced by parental (both environmental and genetic), and cultural, historical contra-sexual experiences, but each also has his or her own personal opportunities to learn about this psychological fact through projection of the inner masculine or feminine onto the outer world, such as father, brother, teacher, friend, sister, mother, etc. This Archetypal energy can be seen through the ancient, inherited collectivity throughout history in literature, dream images, visions, meditations, shamanic journeys and, always within the projections of daily human life. This “invisible entity” or “entities” (Archetypal energy can be multifaceted) is also available for viewing, I believe, through the soul affinity construct and the paradoxes of colour. For people in a relationship, the opportunity to recognize, sort through and understand the inner masculine or feminine from the outer partner through colour seemed to assist them to, not only better grasp their own unique needs and destiny factors, but to help them accept and take responsibility for the necessary separateness of Personal and Impersonal. Greater ease and stability and lessened fear of loss seemed possible within the inevitable changes in life. Furthermore, the burden of unconsciously requiring fulfillment through the other person was able to be opened for review in a fresh, supportive way. As this “pause of remembrance” of the bigger picture was facilitated by the beauty of the bottle and the numerological understandings, I observed a relaxation in people, a soft, deep knowing sigh of relief, enabling lessened self-judgment and the possibility of recognizing and exploring projection more easily. Relationship debris could begin to be sorted out effectively and positive, individual, creative, archetypal connections, related to mission and life purpose could be discussed and received more easily. For people not presently living with an intimate outer male/female relationship, the opportunity to consider the gifts, talents, needs and challenges of the “noble prince” (Animus) or “maiden” within (Anima), offered new, approachable possibilities in their lives, new choices about how to allow these archetypal energies more positive expression, and to receive that life force in safety. The awakening and re-activation of previously lost, unavailable or abandoned masculine or feminine energy within began to offer new momentum and energy to the adventure of life. The perceptual and feeling response to the experience of the information from the color and the numerology seemed to open a new level of “trust possibility” within themselves. This, I believe, can facilitate the reaching out of new tendrils towards the possibility of taking actual responsibility for caring for personality/soul alignment. Some people had what I would call “soul retrieval” dreams. Lost, forgotten parts of the soul were sparked to return home within some new constellation of inner safety, now to be consciously cared for within the possibility of new trust. This was reflected in dreams, with specific bottles being presented in the story of a dream. Certainly, in either instance, (i.e. whether the individual is outwardly partnered or single), the wealth of information available through the dialogue of client and practitioner, facilitated by the information in the bottle, the dream and the numerological information is profoundly inspiring. I also believe that the absolute, sheer beauty and energy of the colour assists the client to a new bearing of the unconscious as a reality factor in their lives. Whether that information is positive or difficult, reception of process is facilitated and softened in my observation. I am very grateful for the addition of Aura Soma to my dreamwork/psychotherapy practice as another royal gateway to the unconscious. In my experience, a gay or lesbian relationship does not rule out any of the above soul affinity considerations or information. I am simply choosing to focus this talk on the personal/archetypal animus information that I saw within my personal/archetypal soul infinity construct and the benefits this brought to me. Since I am not presently paired in an outer relationship, I have chosen to reflect upon new information I could gain about facets of my Animus from the soul affinity construct for my personal benefit..
My birth date is 11-23-33, so I am a 23/5 destiny. Number 5, the “Sunset” bottle, (Yellow/Red) is part of the Chakra set bringing support in the first, second and third chakras, receptivity to the grounding that my earth voyage should ideally include —i.e. pauses that offer connection to the larger mystery reflected in the sky as the day ends, with the call of the Infinite unfolding into the emergence of the evening stars. It is not easy for a “5” to be still. Thought patterns are mercurial and 5’s are always eager for one more new sensation and that last bit of information that might make a difference! The “sunset pause” satisfies the need for exploration of the unseen, along with offering deep inspiration, staying power and grounding into the 5 ’s communication with others. at its best, lucid, creative and entertaining. I now use Bottle #5 regularly, but found that I wanted and needed the “Love and Light” of Bottle #23 (My Process Bottle—i.e. on the way to the #5) before I could truly appreciate or even begin to tolerate the intensity of #5. I needed #23”Love and Light,” Rose Pink/Pink), that gift of unconditional love, that sweet gentleness, that release of early, built-up humiliation to bring the remembrance that I still had a future after early abandonment, vulnerability and later in life, a mastectomy. My birth name was Delores Marguerite Beale. Delores is a 33/6 (#6,“Energy“ Red/Red) and offered me an 11/2 masculine energy when added to my Destiny #5 (6+5=11=2). This particular Animus ( i.e. 11/2) is deeply supportive of my feminine being, (#11,“A Chain of Flowers,” Clear/Pink) balancing lost self-love where love was betrayed and traumatized. I believe that the human experience brings everyone some degree of this challenge— mine was the loss of both mother and father at the age of three through their divorce. My mother returned to school for 2 years. My father visited a few times and I recall a final visit with him at the age of 7 to meet his new wife and child. That was the last time I saw him. Later in life, I learned not only about the sadness and depression within the Blue ( the blues) (#2 “Peace,” Blue/ Blue) in my father and child self, but, for the first time, to also consider and feel into the opposite polarity of the Archetype of Blue—a positive, nurturing, protective masculine energy, apparently also present within my psychic structure—to know that it actually existed archetypally within me, within Life itself , offered me a new way to frame my experiences. It seemed there was some possibility of some foundational peace and safety there. As I worked with this new understanding, I became able to consider the existence of a loving, supportive Blue archetypal energy actually available for me, just as I am, as I was and as I was now becoming. I could envision some possibility of the grief and sadness being held in the embrace of Life without dissolution or collapse. Through the image of the Rose I could also consider the possibility of feminine blossoming being supported by that archetypal masculine stem with its thorns. Such a grasp of one’s true divine blueprint of being can begin to address deep, early childhood depression and bring a degree of detachment so necessary for the personality to withstand the dramas of the growth process toward the soul. This archetypal masculinity stems from the very depths of one’s being. The task and gift is to learn to bear the paradox of the negative and positive poles of the Archetype, not identify with either one but to be able to move forward within the centered space of grace. If understood and embraced, new trust levels in oneself can become possible. The masculine energy allied with Marguerite (54/9) would be 9+5 or 14/5. (#14, “Wisdom in the New Aeon,” Clear/Gold). This masculine energy needs time for introspection, loves to study and express himself poetically. He may carry some gypsy blood – certainly, he thrives on manifesting adventure and helps my “true” colors to shine. He assists the release of old emotional scars of the heart and opens new, peaceful inner space and direction. He works willingly with synchronicity, hope, decision-making and also brings about the aspect of the masculine that says “just do it.” Most of all, the Marguerite masculine knows and keeps track of the stretching necessary within her destiny path through the 14 window of the Clear/Gold, symbolizing wise, clear thought. He would also support a good sitting at sunset. To the degree that a woman comes into relationship with the Animus Archetype, i.e. to the degree that she recognizes and learns to say No to the exhausting, opinionated, slave-driving, possessive, negative takeover in her thinking and, instead, pauses into the realm of her own feminine power, observing what is, and what might be, she is then given inspiration, sharpness of focus, determination, stamina, courage, clear thinking and response from the positive, spiritual Animus. She is assisted with the correct use of the sword to cut through her more natural diffuseness. It was also comforting for me to see through the Numerology with Bottle 14 that there was an archetypal, supportive energy available here that echoed and supported the necessities of my destiny path (# 5 ) and that was also an ally to the ever-constant beam of manifestation demands and interests of the 5. If a woman is not in conscious relationship to the many-faceted masculine in herself, it can become autonomous and destructive, taking over the ego. As a major archetype, it will become known in Some way, positive or negative, for it cannot be stagnant. The negative animus is relentless in its pronouncements, opinions and judgments of oneself and others. It presents the woman with impossible schedules and agendas which her body and actual reality cannot realistically support, exhausting and depressing her feminine energy. Feminine ego strength must be built and supported to safely enable growth, trust and strength into a relationship with the positive, inner aspect of the Animus, the bridge to her spiritual expression and life purpose. Very often this strength and inner safety have need of repair in order to to be able to grow into the ego firmness necessary to deal with with any negative masculine energy (inner or outer). She must begin to be able to say “No, I don’t have the energy or interest for that at the moment” or to say “No” to any form of abuse. Only then, with this inner sense of safety of self established within does she become reliable and trustworthy to herself, free to choose and live her personal, passionate, feminine wisdom. With this accomplishment, new peace levels also become possible. The image of the necessity of the bark and tough stems in nature. protecting and supporting the flow of the inner sap and continuing growth from the depths is an apt metaphor. The genetic Beale personality imprint (16/7) becomes a 12/3 (7+5=12=3) soul affinity for me, reflecting the reality of my father’s “blue,” depressive energy that never was able to express its creative dreams in his lifetime. He suffered an extreme lack of wellbeing, permeated by indecision. (#3, “Heart Rescue,” Blue/Green). The indecision is viewed here within the negative polarity of the green. With recognition of the best of this 12/3 available metaphorically and energetically to me through colour, I am given the possibility of the strength to walk through that sadness, and to address the necessary re-building of that inherited broken heart and lack of inner confidence, inviting the return of spiritual purpose, calm and inner peace to return. Such coming into balance with archetypal energy is life changing. I am reminded of a dream I had of a teen-age boy in a wheelchair who, the dream said, had healed to a high degree of functioning, despite his handicaps. The dream also made it clear that even though his heart had been turned upside down by the cramping pain and grief of his experience, discussion was now possible and there was new space for spiritual and emotional growth, for new decision-making and for action towards bold, creative, courageous living, despite his wheelchair status. I don’t remember when the nickname “Dee” (14/5), (a return of Clear/Gold, “Wisdom of the New Aeon,” as seen earlier in Marguerite) became a household word, but it has stayed and undoubtedly assisted the momentum of my 5 destiny. Dee was a very Dee-termined individual with a deep desire to make it in her own right, often pushing away help – “I’ll do it myself, thank you!” She stretched enthusiastically into her school studies, winning the prize for reading the most books in the third grade. Music offered continuing joy and support – the discipline of piano practice was natural and happy for her. #14 offers the return of the foundation of Beauty back into life. There is change in the cell conversation, a new clarity of thought, a stepping forward into life with the desire to make it alone. My outer dream in college was to be a music therapist, but it seemed I was a bit ahead of my time. I was unable to find such a program. For financial security, I followed the model of my mother, who became a public health nurse and quite a pioneer in her time. I entered nursing school, completing a B.S. degree in 1956. At 16 I had been deeply inspired and influenced by Clifford Beer’s book, A Mind that Found Itself. Beer’s experiences convinced me that it was possible to become whole and productive, despite insurmountable difficulties; thus did I choose the challenge of Psychiatric Nursing, becoming a Clinical Instructor eventually at my same university. Dee’s inner masculine (5+5=10=1) (#1, Physical Rescue, Blue/Deep Magenta) stepped forward with a full heart, enthusiastically supporting her right livelihood at the time, feeling personal value, meaning and enjoying the continuing opportunity to learn and serve. That Animus aspect knew and supported where she was going at the time! This interest in healing magnetized a marriage into the Pye family(19/10/1) (note the #10/1 match with Dee, “Physical Rescue,” Blue/Deep Magenta), following Dr. Pye’s graduation from medical school. Our lives were totally focused on the mental and physical rescue of people in our own individual ways. We never worked together, as I had hoped would be possible. The body as a machine, to be understood and assisted; disease as germ based or as a chemical imbalance – these were the challenges and paradigms of the time. The energy field of the body was not a consideration then. It was within these 23 years (the number of years of my marriage synchronistically turned out to be my Process number, #23) that my personal destiny as a teacher and consultant in my own right was to be awakened through the initiation of illness and dreams. Here I was to find the grounding necessary to learn how to make my own way in the material world. The #6 masculine (5+1=6) (#6 “Energy, “Red/Red seen earlier in Delores) re-awakened within this time enabled me to courageously face the diagnosis of Multiple Sclerosis. I chose to build my physical body through horseback riding and returned to graduate school for an M.S. degree in Counseling, since it seemed realistic that I may not be able to return to the physical rigors of a nursing practice. I also entered a 10 year period of both personal and professional Jungian dream analysis. I wanted to become aware of as many unconscious factors as possible in relation to the M.S. diagnosis I was given at that time. As the truths emerged, potentiated by archetypal dreams, pain and sacrifice surfaced as a path of continued soul growth. I had the energy to survive my own choice of divorce, to put a stop to further injury, to fight a long legal domestic war and meet the challenge of breast cancer and mastectomy in 1982. The “red road” of spirit opened through my dreams of Northern gods, calling me to explore the North. The gift of an elk-hide drum arrived very unexpectedly from a friend. Suddenly on a very new path from my dreams, I began the study of Runes and soon traveled to Iceland, Norway, Samiland, Scotland and Sweden in search of my shamanic heritage. The harvest of my own personal mythology was ripening. The name Dee Pye (4+1=6) with the masculine soul affinity of 6+5=11=2, circles back to Delores’s 11/2. The challenge to push through the re-run of the original betrayal into my own “beauty way,” into a deep peace and trust that I will have what I need, that I will live in spiritual remembrance and be protected, that I am loved and personally connected to spirit, invited me to live my #5 spiritual destiny as “Deep Eye,” at that time, a name given to me in Sweden by my shamanic teacher there, Jonathan Horowitz. Perhaps the 11/2 masculinity of both Delores and Dee Pye birthed Deep Eye, another 11/2 whose soul affinity is 2+5=7. The #7 ( Garden of Gethsemane, Yellow/Green ) was a return to another aspect of Beale, reflecting the possibility of the wisdom to trust the Process and Mystery of life, and offering the space and opportunity to share this learning with others. This Animus was to offer further support to the heart-filled, vulnerable personality to keep on moving forward courageously through life circumstance into full realization of continuing potential and meaning yet possible for this 23/5. Thank you for your kind attention. I look forward to your response and dialogue in the time remaining. For those of you who are able to visit my office in San Diego to personally select your Equilibrium bottles call me to schedule an appointment (619) 260-1559.